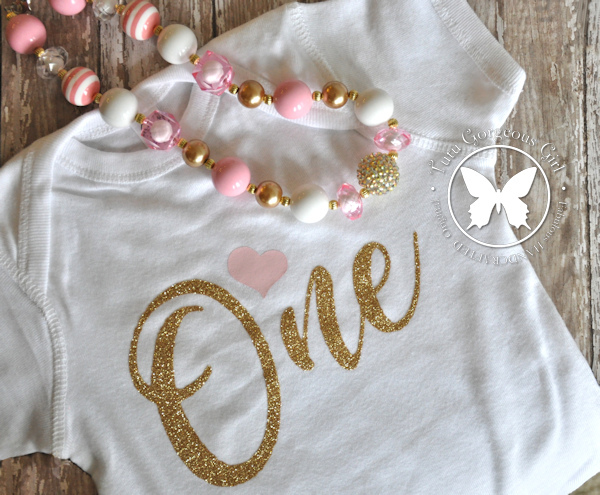 Baby girl's pink and gold One birthday shirt or second birthday bodysuit. 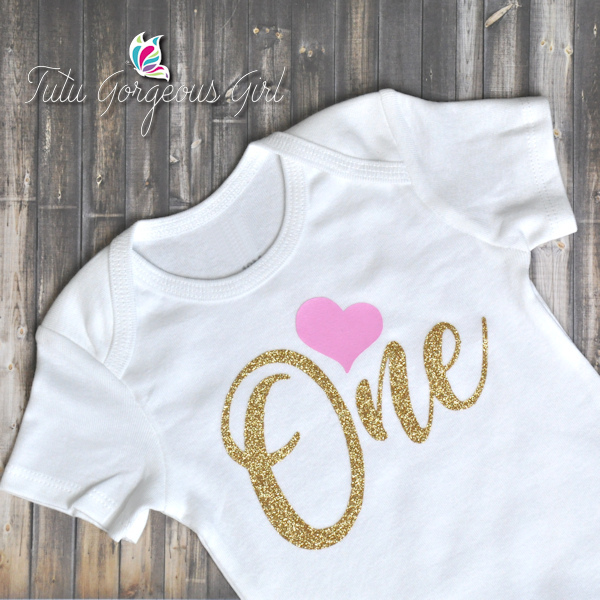 Girls's first birthday "One" bodysuit with sparkle gold decal and pink heart. Perfect for a gold and pink first birthday portrait session, cake smash outfit, or birthday gift. Optional matching necklace is available in the drop down menu. We can also change the word on the bodysuit for calendar portrait sessions or other occasions (Please limit to 1-2 words please). We can also leave the pink heart off the tutu or change its color. Please specify any changes in your order notes, or contact us for requests.